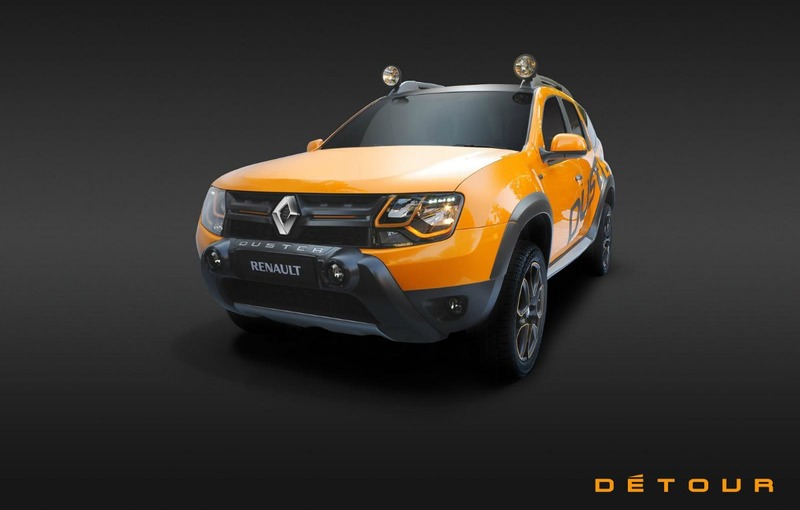 Renault unveiled today the official images of the new concept Duster Detour. 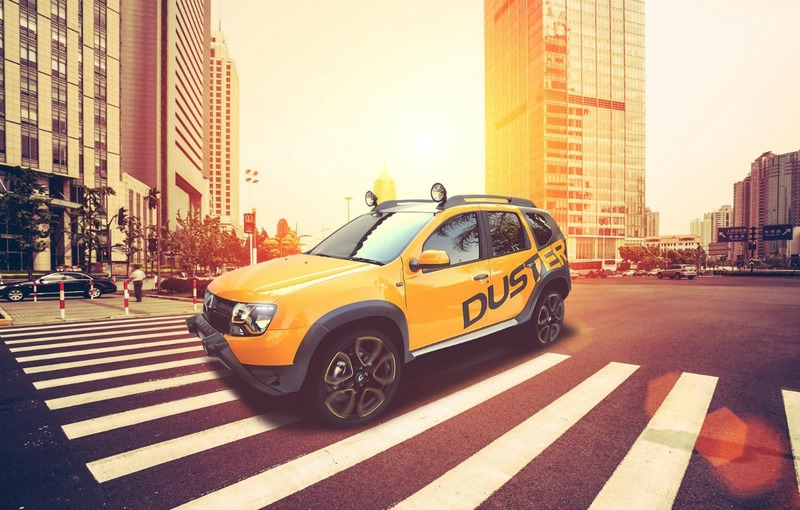 The new concept of the Romanian SUV will be launched at the Auto Show in Johannesburg and marks the debut of the Duster on the South African market. 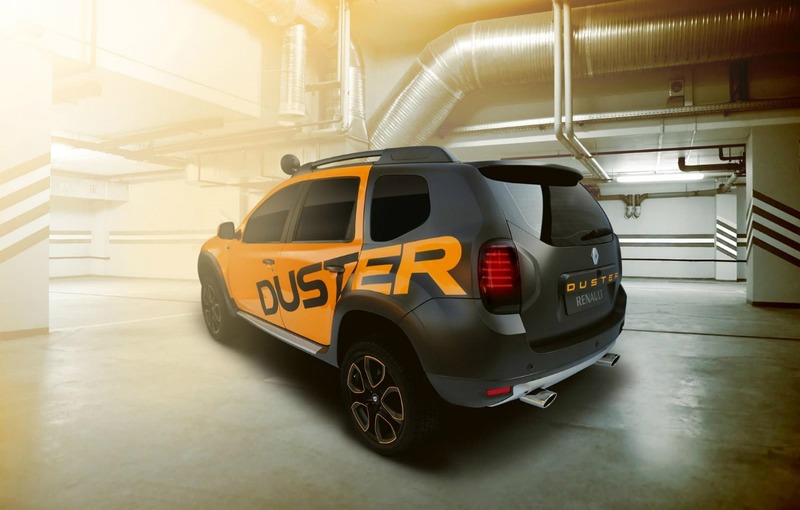 Duster, the SUV launched under the Dacia brand and developed by the Renault-Nissan corporation, received a concept developed on the facelift version launched this autumn. 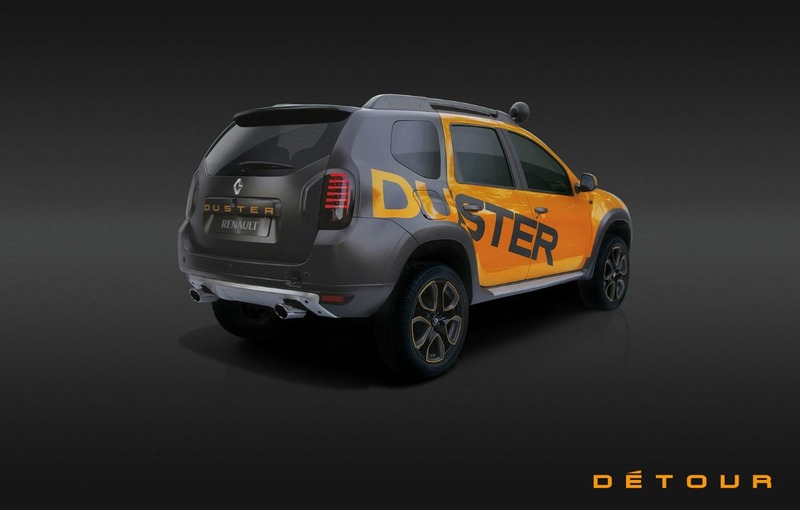 Basically, the Renault officials will mark the debut on the South African market with Duster Detour concept. The Renault Duster Detour is based on the Duster facelift and shows how a factory tuning can look for the best selling Dacia model. It all starts with a two-tone paint, a set of 18 inch alloy wheels and an aggressive aesthetic package. The front grille presents a chromed version of the Renault logo and shapes the personality of the model, along with the headlamps that have orange accents. The front bumper presents a set of fog lights, like the ceiling, and the taillights were inspired by those used on the Duster facelift, although the Detour use LED technology. The official description says that the Duster Detour was inspired by a mix between Terminator and Mad Max plus a number of influences from the Dakar style. The 18-inch wheels give a more aggressive design to the Duster Detour and are fitted with off-road tires, a sign that the Renault engineers did not want to lose the off-road skills with this in-house tuning. The Renault officials didn’t gave any information about a potential serial version of the concept, although all the design elements seem to be almost ready for mass production.